Expansion coming despite low gas prices. 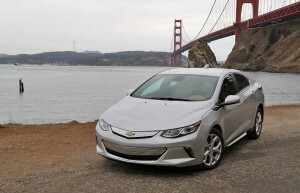 The 2016 Chevy Volt improved its battery-only range from 38 miles to 53 miles. Plug-based car sales are expected to jump this year. It’s been tough times for makers of battery-based vehicles. With cheap gas, demand for hybrids, plug-in hybrids and pure battery-electric vehicles took a sharp tumble in 2015, the first significant decline since the beginning of the decade. But with new, longer-range and more affordable products set to come to market, demand is looking to rebound, even if gas prices don’t climb, according to a new study by Navigant Research. Sales of plug-based models should grow 62% year-over-year, to about 200,000 sales in 2016, said the Navigant study. Up until recently, BEVs had the disadvantage of high cost and low-range. With the exception of the Tesla Models S and X – both topping $100,000 for well-equipped versions – the typical battery-electric vehicle couldn’t manage more than about 100 miles per charge, something that led to widespread “range anxiety” among potential buyers. The Chevy Bolt, which arrives later this year, will come in at around $30,000 for a base model, after factoring in the $7,500 federal tax credit. Bolt won’t have that niche to itself for long, however. Tesla plans to bring in the base version of its Model 3 at around $35,000. Like the Bolt, it will deliver at least 200 miles per charge. Meanwhile, Ford, Nissan, Mercedes-Benz, Audi and others are also preparing long-range BEVs, though some will target mainstream segments while others will go after luxury buyers. 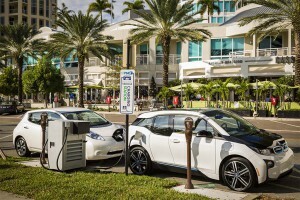 Navigant Research predicts plug-in vehicle sales are going to jump 62% in 2016 despite low gas prices. There have been significant improvements in the plug-in hybrid segment, as well. The Chevrolet Volt has been gaining market momentum since it was completely redesigned for the 2016 model-year. The new version now gets 53 miles per charge compared to 38 for the old Volt before switching to gasoline power. The new Volt also starts at $35,170 compared to the original model’s $40,000 MSRP. Toyota roughly doubled the mileage of the second-generation Prius plug-in – renamed Prius Prime – it will launch later this year. And a number of other makers are adding new plug-ins that push range well beyond earlier offerings. The Mitsubishi Outlander PHEV due for 2017 is supposed to get around 38 miles per charge, for example. Fiat Chrysler, meanwhile, will launch the first plug-in minivan with the debut of the Chrysler Pacifica Hybrid. The forecast 62% growth this year is significant on its own, but that could be just the start of a much more rapid boom in the plug-based vehicle market. Tesla alone hopes to sell between 100,000 and 200,000 Model 3 sedans next year — though industry observers are largely skeptical considering the maker’s routine problem with meeting initial targets for launch. And that’s just the beginning. 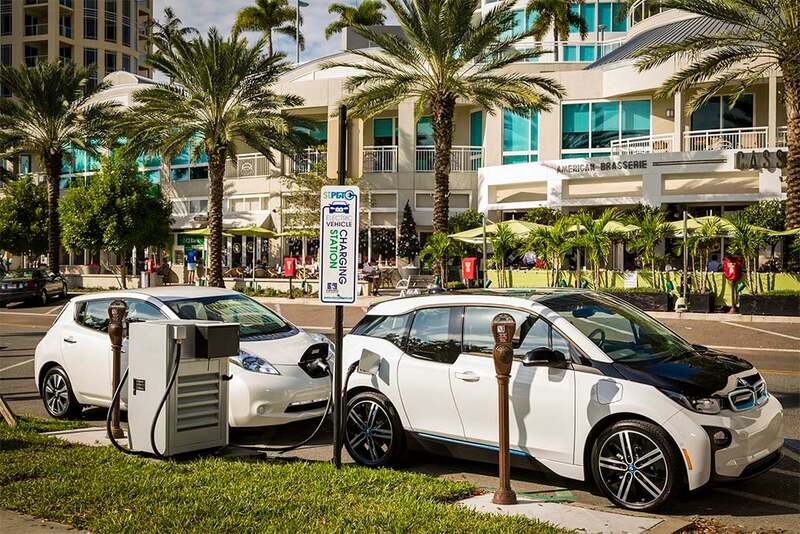 Navigant anticipates sales of plug-in electric vehicles, or PEVs, will surge to nearly 900,000 by 2020 and approach 1.4 million in North America by 2025. There’ve been plenty of optimistic forecasts before, including one by the Obama Administration which fell well short of reaching the projected 1.5 million plug models on the road by 2015. A key factor that suggests the predicted surge actually will come this time is the industry’s need to meet the aggressive 54.5 mile per gallon Corporate Average Fuel Economy mandate set to launch that year. Most analysts believe it will be difficult to achieve that number without a significant reliance on some form of electrification, from basic stop-start technology up to full battery-electric power. Demand for plug-based vehicles will likely vary quite significantly by region, according to the Navigant study. California currently generates more than half of all U.S. sales, and that will continue through 2025, the study anticipates. Other so-called ZEV States copying California’s strict emissions rules, will also see sharp growth in plug-based models. But the closer the country comes to the 2025 CAFE phase-in, the more battery-car growth the industry will see in other regions. This entry was posted on Thursday, June 30th, 2016 at and is filed under Automobiles. You can follow any responses to this entry through the RSS 2.0 feed. Both comments and pings are currently closed.